Mr and Mrs McNaught’s roof has been deteriorating for a long time. The Taylor Roof’s team replaced the roof’s ridge tiles for a dry ridge years ago to prolong the life of the roof. 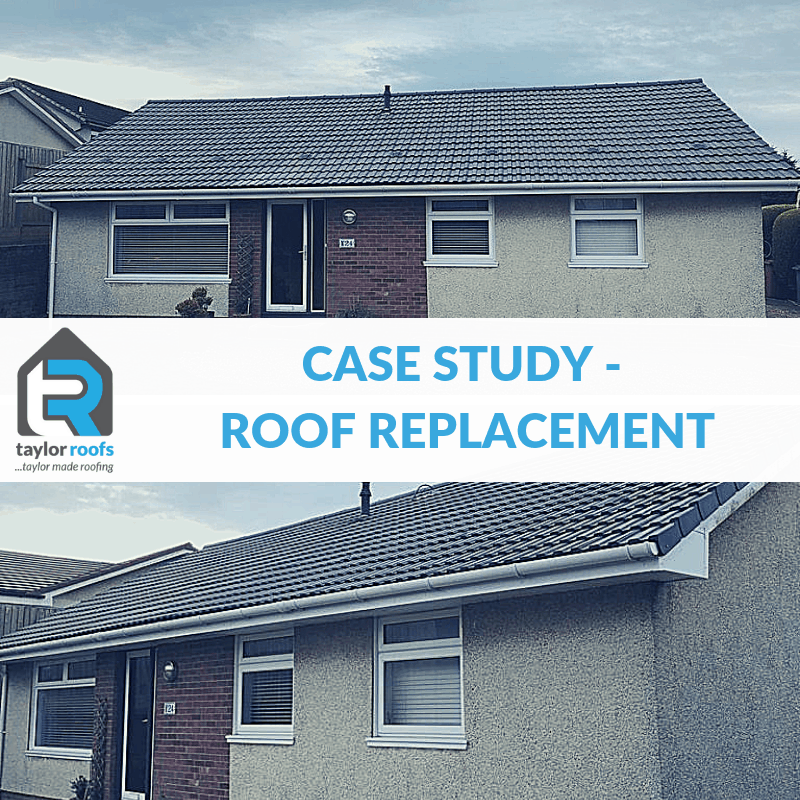 This solution is a great alternative to a full roof replacement as it requires less maintenance work saving the client a lot cost throughout the years. 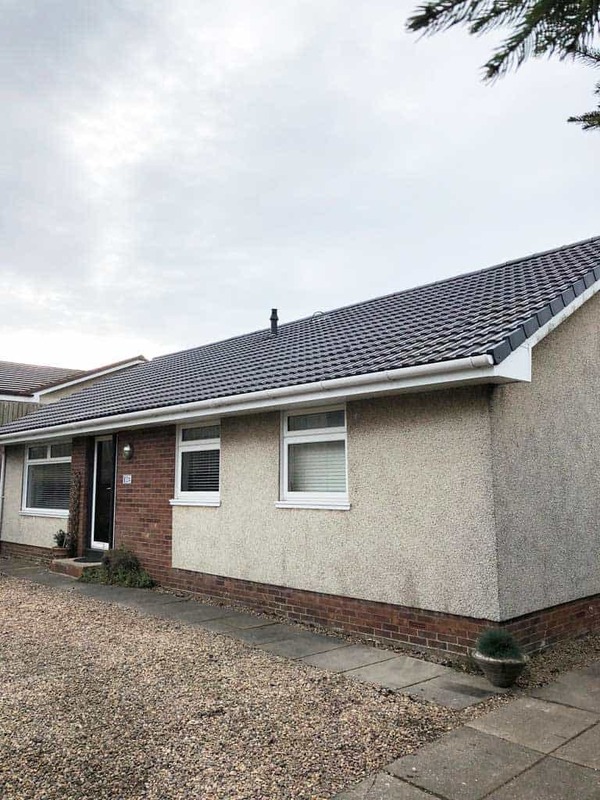 As the roof was ageing and unmaintained, we explained in detail to Mr and Mrs McNaught that a full roof replacement will be required further down the line. Fast forward 6 years, Mr and Mrs McNaught started experiencing roof leakage. This is very normal considering the severe weather conditions we’ve see in Scotland consistently. 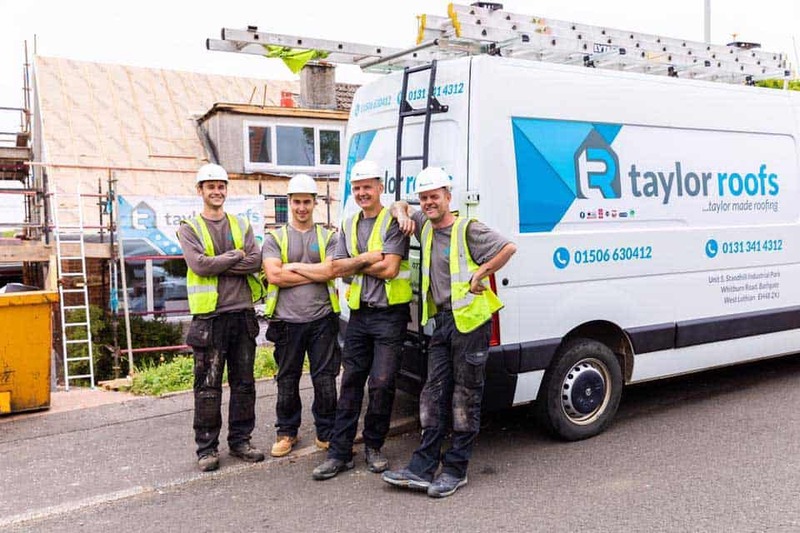 “We first met Jamie a few years ago when we needed some roof ridge tiles replaced and so when we had a bigger problem we called Taylor Roofs first.” Said Mr Mcnaught. Being approved by the Edinburgh trusted trader scheme and West Lothian trusted trader scheme, helps give our customers peace of mind when choosing us as their reliable local trader. 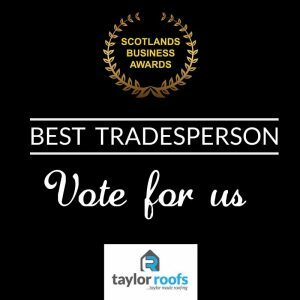 In fact we are the number one rated roofer on West Lothian trusted trader. After the McNaught’s called, the team were able to visit to the property within short notice to inspect the issues. The team found that the roof tiles had become porous and were letting in a percentage of water through them. 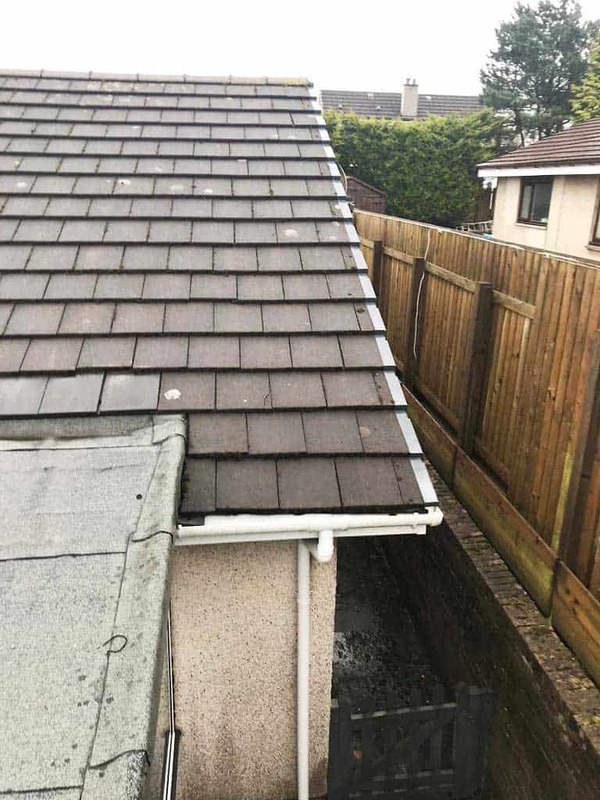 We guarantee a 24-48 response time, but we are renowned for visiting site very quickly and it has been commented that usually we have been to site, quoted the project and started the works before other roofing companies have even visited. The loft insulation was replaced and double-glazing windows were added, causing inadequate ventilation in the loft space. 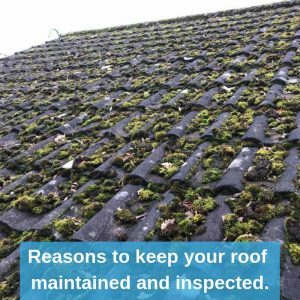 The downside to a well-insulated home is that it has a direct effect on the roof because of the excess moisture created. 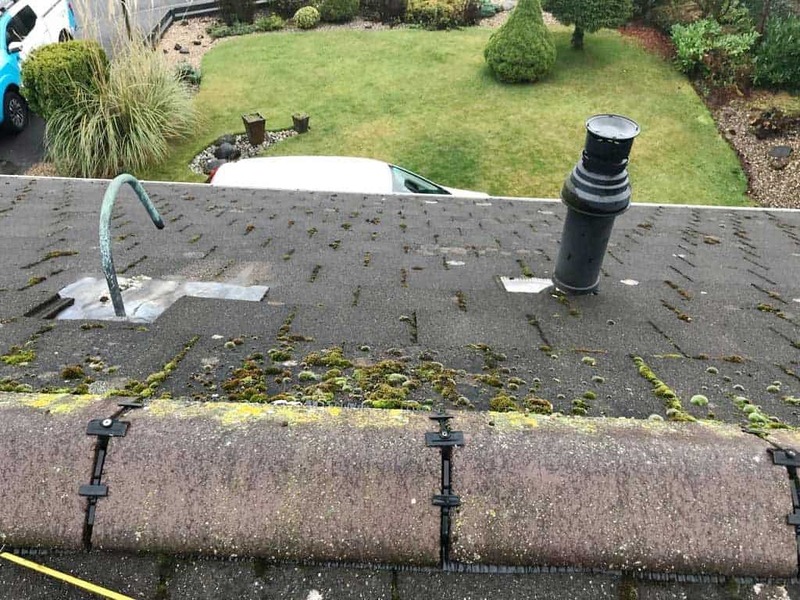 Our fully trained team quickly replaced the full house roof, verge to verge. 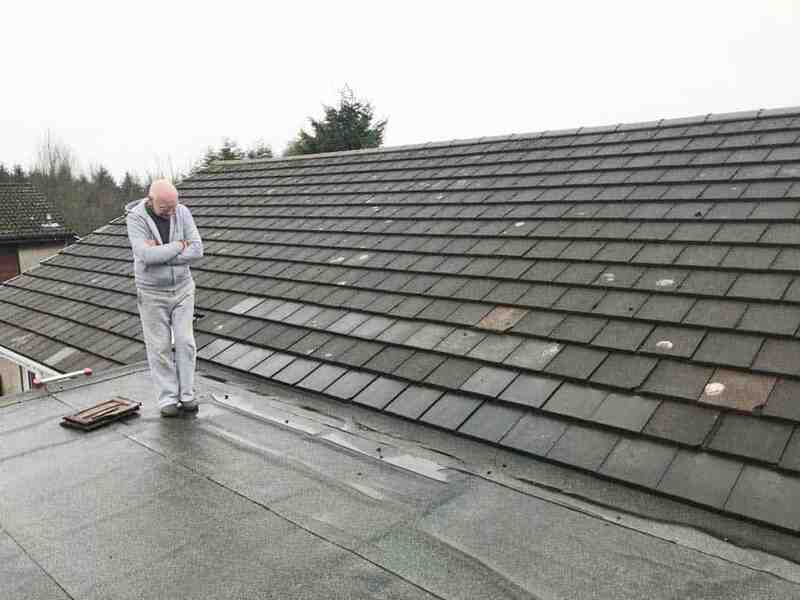 The new roof was wind and watertight using our dry systems which are maintenance free. We also provided adequate ventilation to bring it up to the current British standard and to ensure the longevity in our installation. “We now have a full new roof including a fairly big conservatory and all in a week from start to finish.” Said Mr Mcnaught. 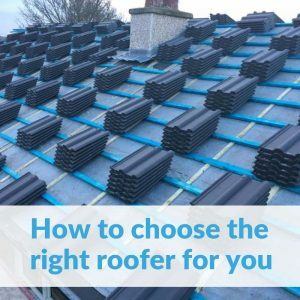 As a member of the national federation of roofing contractors (https://www.nfrc.co.uk/), the quality of the service we provide is guaranteed to be of the highest standards of workmanship and sound business practice is ensured through a strict code of practice. 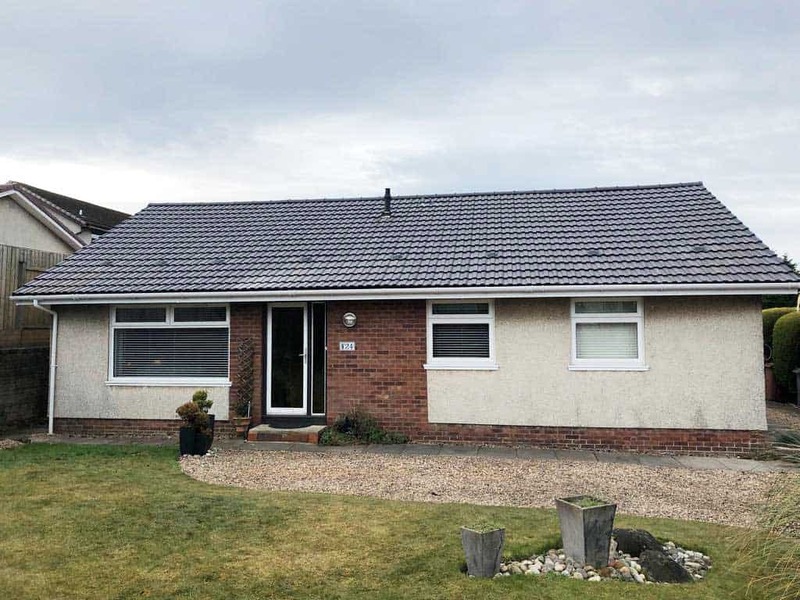 Mr and Mrs McNaught’s roof was fully completed in one week by the team at Taylor Roofs. 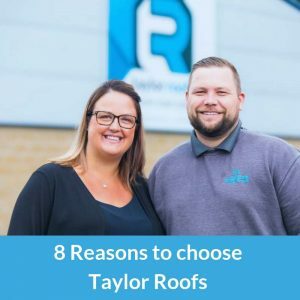 Taylor Roofs is confident to offer 100% satisfaction every time. We have 200+ client testimonials on Google, Facebook and accredited consumer sites such as West Lothian council trusted trader & Edinburgh trusted traders. 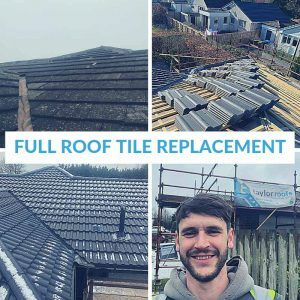 You can read the team’s My-builder reviews, here (https://www.mybuilder.com/profile/view/jtaylorroofing/feedback).